The next Woodart meeting will take place on the 2nd of May between 3pm to 9pm. Woodart A.G.M will start at 7pm. Money is now being taken for the Hog Roast at £10 per head. Friends and family are welcome as well. See MEETINGS for whats on. See meetings section above for details. 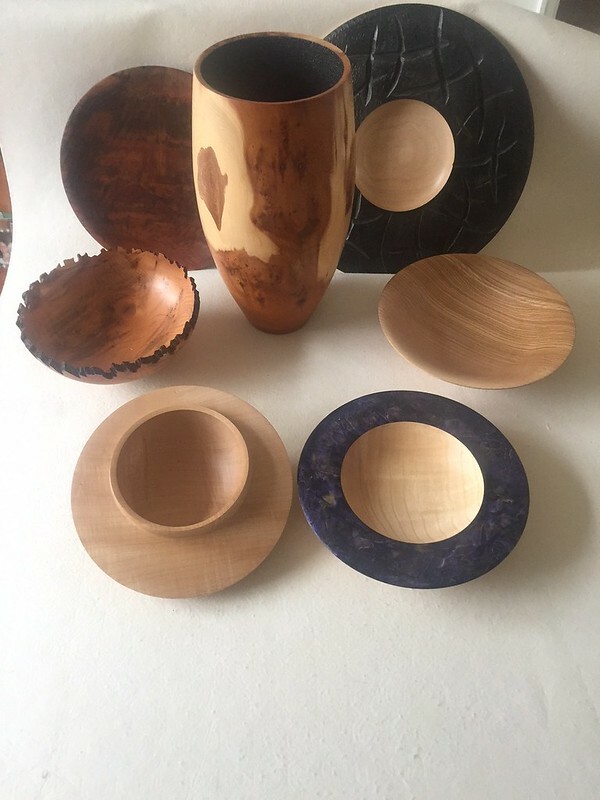 Woodart Workshops is a talented collective of gifted carvers, turners and wood artists. Wood Art is different to many other clubs firstly because it does not have a committee. It does have three officers - Chairman, Secretary and Treasurer. At each meeting work stops for five or ten minutes when the Chairman brings matters to the members' attention for information and/or to get a decision on anything needing approval, as the club is member lead. An annual general meeting is held in May when things are dealt with in a more formal way. Membership subscriptions are considered. Subscription is currently £50 per year. On any club night, members can be seen chatting about new projects, social issues, new ideas or just helping each other. There is laughter, banter and leg-pulling with no offence. Initiatives are put forward by members and many good ideas come to fruition. We pride in being a little different. About twice a year members have the opportunity of watching a nationally recognised expert demonstrating his or her special ability in wood art. We also run both carving and woodturning structured lessons run by both professional and experienced members. There is an annual auction when members donate unwanted goods, the proceeds go towards club expenses. A weekly raffle with prizes donated by members adds funds to provide new or replacement equipment. On three occasions a year carvers, turners and other Wood Art Workshops members decide upon a charity to support and donate items they have made themselves. A busy and well-equipped club with a lot happening. All our previous work can then be seen on Flickr by clicking on the box above or the "woodartworkshops2010" text in the box below.